Throughout my career as an Employment Lawyer I have acted for charities, organisations, vulnerable individuals and other faith groups. As a young mother I fought against cancer and winning this battle made me want to give back and do more for our community. We must all work together to combat antisemitism. I will campaign fearlessly to protect our rights to practice Brit Milah, Shechita and Kashrut. I will fight all forms of delegitimisation of Israel, fight BDS and support UJS to ensure every campus is safe for Jewish students. Let’s celebrate Jewish life across the UK. 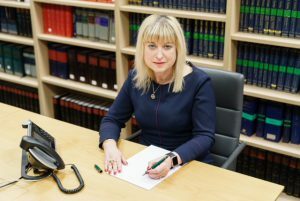 I want to champion the amazing Jewish contributions to British society, enhance social cohesion amongst other faith communities and sustain our special relationship with Israel as a central part of our identity. I want to help make the Board more relevant to the Jewish community. My priorities will be to help to develop the next generation of Deputies, ensure that under-represented groups have a voice and establish a Patron system to assist the Board with fundraising. The British Jewish community is a phenomenal success story. For over 250 years the Board of Deputies has stood up for the Jewish way of life. However, we are at a critical point; antisemitism is on the rise including, shamefully, in the Labour Party under Jeremy Corbyn. Our fundamental Jewish traditions, from Milah to Shechita, are under an unprecedented attack. Our community needs an advocate to stand up for our traditions and to defend our human rights. As the current Vice President who chairs the Defence and Interfaith Relations Division, I have led the fight on all of these issues. I believe in standing up for our rights. I was the first to call the Chakrabarti report out for what it was, a “whitewash”; I have been at the forefront of the recent burial campaign against the introduction of the so-called “cab rank rule” by the coroner, Mary Hassell; and I’ve travelled the UK, reaching out to every corner of our community to fight antisemitism, defend Israel and promote interfaith work. I know that our community can rise to each of these challenges. 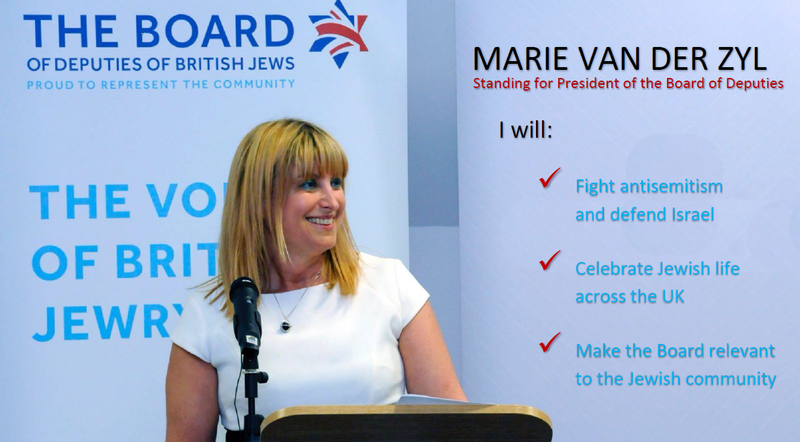 As President of the Board of Deputies, I will continue to fight against antisemitism every single day. I will defend Israel’s legitimacy and its centrality to Jewish identity. I will strengthen the many interfaith relationships that I have enjoyed building during the last three years which include those made as a trustee of The Inter Faith Network. Above all else, I will champion Jewish life across the UK. and as your President I’ll stand up for you! My strong Jewish identity stems from growing up in Redbridge, where I taught at Wanstead and Woodford United Synagogue Cheder, joined Bnei Akiva and was a proud member of the JLGB. I have been a member of Mill Hill United Synagogue for 4 years and serve on the management board of West London Synagogue where my family are active members of the community. We met Deputy Labour Leader @tom_watson today to discuss the way forward on antisemitism in the Labour Party. Thank you for all your support! saying, “History will not be kind to them”.